The Tagalog word Salúbong refers to the act of meeting, receiving or welcoming someone arriving. 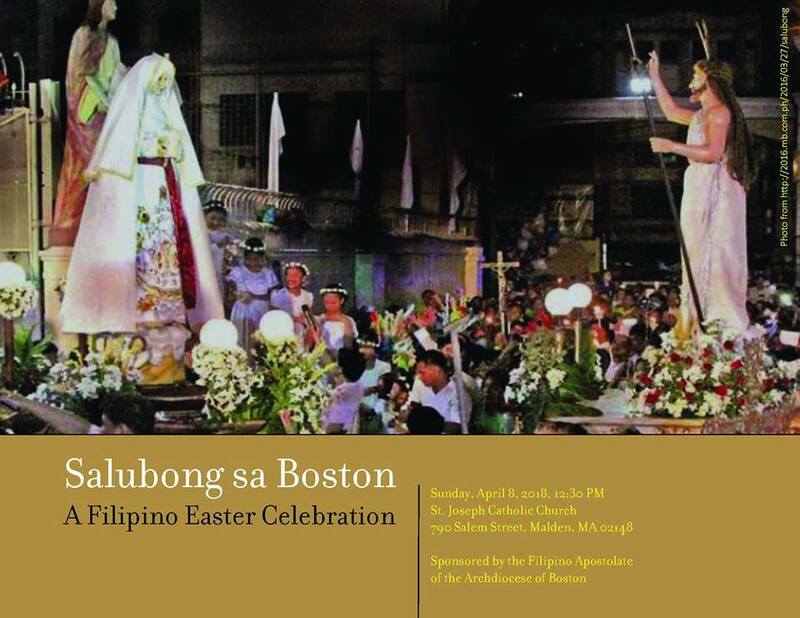 In the context of the Holy Week celebration in the Philippines, the Salúbong refers to that popular religious celebration reenacting the meeting between Jesus and Mary, his mother. It is part of the Filipino Christian tradition that goes back to the Spanish colonial period, and is still alive today. 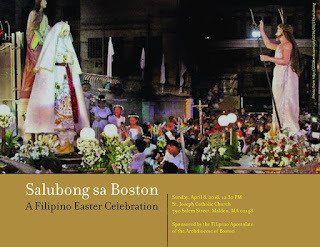 It takes the form of a drama and belongs to the constellation of religious dramas and dramatizations which mark the liturgical year as observed in the Philippines.